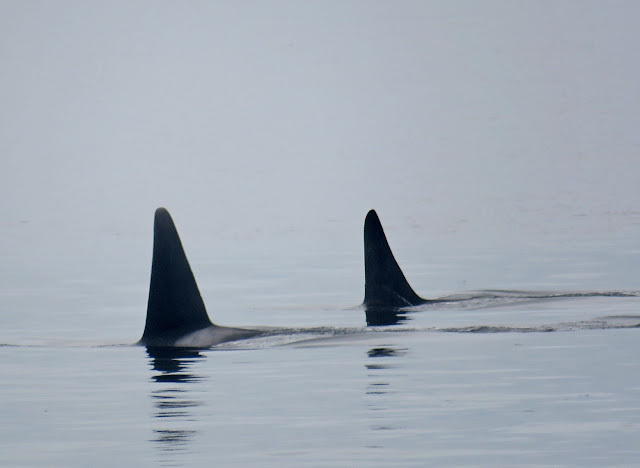 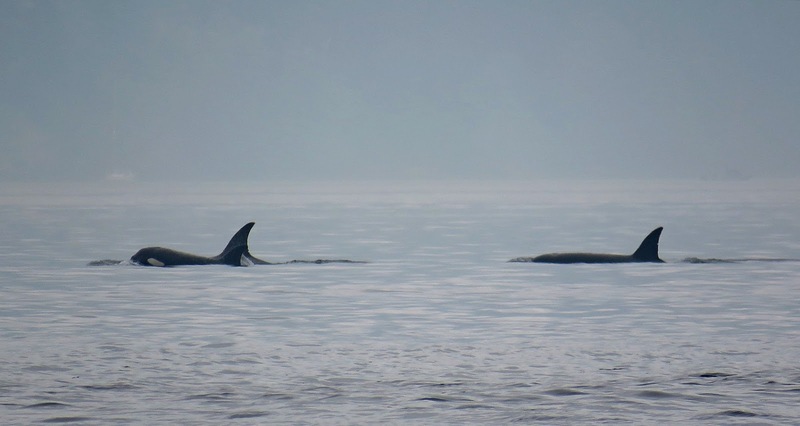 Transient Orcas returned to central Puget Sound today. About 8 Transients were seen in the late morning hours passing Elliott Bay, Constellation Marine Reserve in West Seattle and headed toward South Puget Sound. Transients are mammal eaters...but today they seemed to be in travel mode as they passed by a number of feeding sea lions without giving any notice. The sea lions seems undisturbed by the orca's presence. Resident Orca pods have not been seen in Puget Sound water or the San Juan Islands since early August....a rather long summer absence. 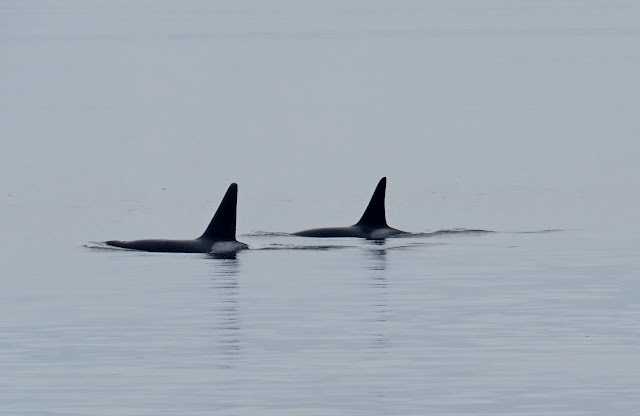 Residence are salmon eaters and may not be finding enough prey to remain in the area. 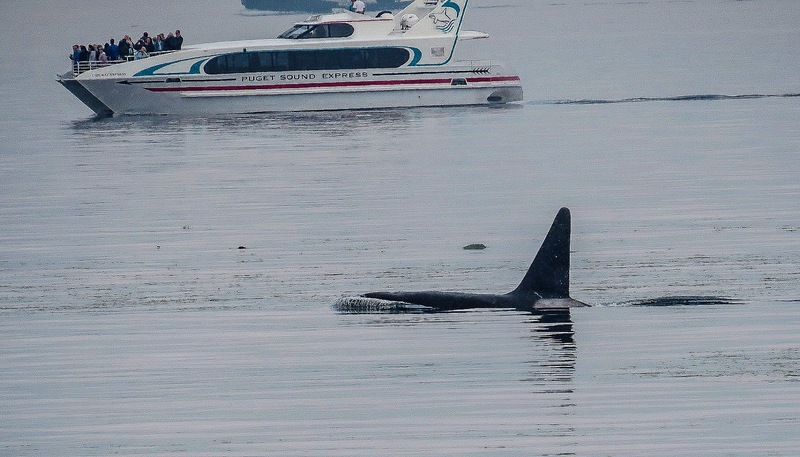 Central Puget Sound usually sees the Resident Orcas in the fall when the Chum and Coho salmon return to spawn in local rivers. 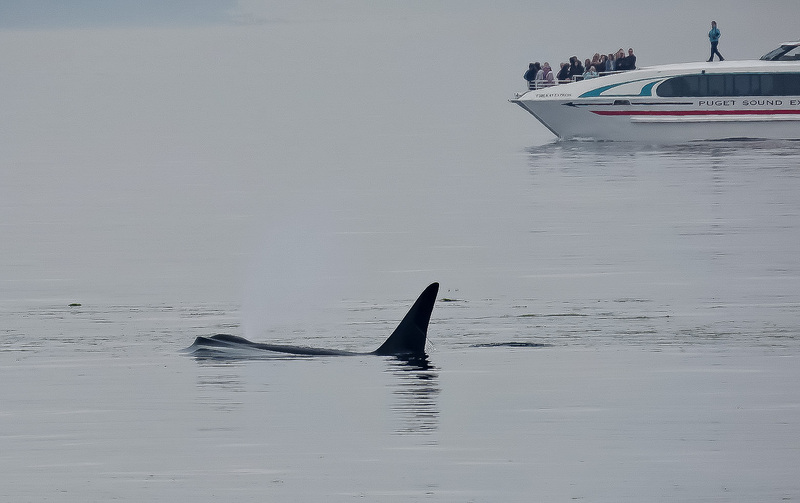 Transient Orcas can show up any time.